Yesterday was my birthday (45 – might not be a 'big one' but it certainly feels big enough) so Mr Robot took me to Chez Dominique in Bath for lunch. Usually we go out in the evening for birthdays, but my workplace gives us our birthdays off so I'd booked a salon appointment in town that morning and we decided to make it a lunch date instead. Chez Dominique's a la carte menu is available all day, and we'd fancied going there for ages. It's just over Pultney Bridge, near our dentist, so we've both looked longingly at the menu on the way back from being savaged by the hygienist. Mr Robot had booked the afternoon at work and said it felt very much like being on holiday, as we were eating nice food on a lovely day. It also felt a little like bunking off as he'd been in work that morning and then left it all behind. But you're not here for tales of bunking off, you're here for food! 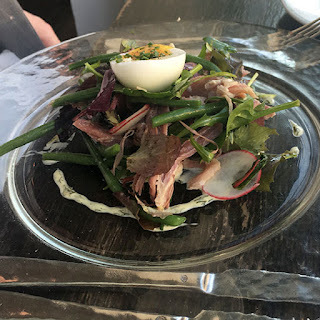 I had smoked eel salad for a starter, and Mr Robot had a ham hock salad. Mine included chicory and apple, and both had a very nice dill dressing on that made us think yes, we really do need to grow some dill in the garden this year. 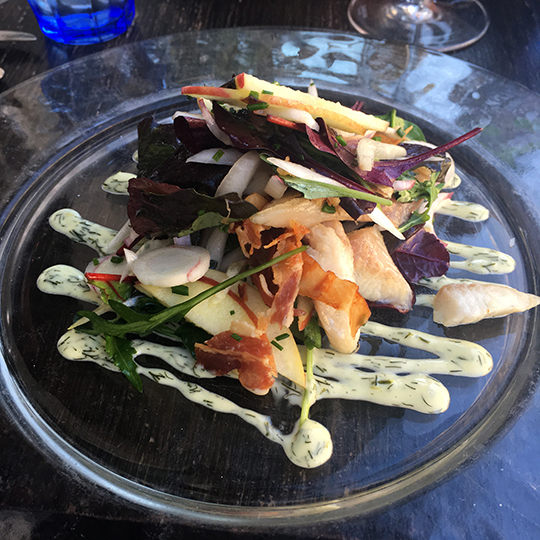 The sweet crunch of the apple and bitter crunch of the chicory contrasted nicely with the soft, smoky eel and crispy smoky bacon. Mr Robot had the pear and almond tart for pudding, while I went for the cheese. This was good cheese. For one thing, there was an acceptable cheese-to-biscuit ratio. 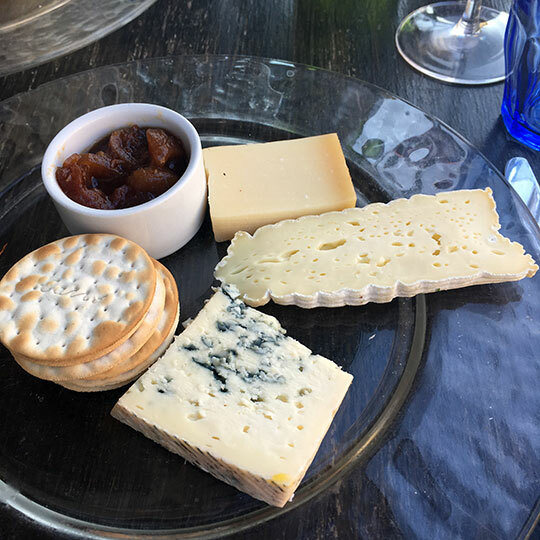 Too many places load up on (cheaper) fancy biscuits and stinge on the cheese, in my opinion. Chez Dominique makes sure that when you order the cheese, cheese is the star. And every cheese has a decent amount of punch. I can't tell you how much it all cost as I didn't pay, but Mr Robot seemed to think the price was jolly reasonable, and we both agreed it's somewhere we'd go back to. I had my first-ever go at making hot water pastry over the weekend. Mr Robot got me a 'Simple Simon' pie mould* for Christmas and I finally got round to testing it out. The mould is cunning because you can rearrange the dividers to make one big pie, six little ones, or all sorts of configurations in between. I followed the recipe in the Ginger Pig Farmhouse Cookbook. I was a little apprehensive because of the time it said it took, but actually a good chunk of that was boiling two trotters to make the jelly. We had so much jelly left over I've frozen the leftovers – that should speed up any future pie making. The pastry was something else that seemed daunting but was surprisingly easy; I boiled the fats and water together and stirred it into the flour with the handle of a wooden spoon, by which time it was cool enough for my asbestos fingers to work with. 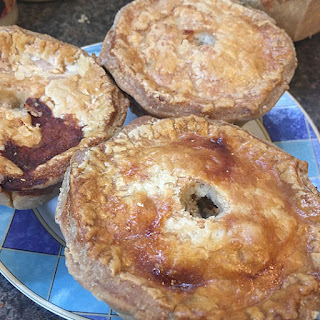 The recipe quantities were enough for three equal-sized pies in the Simple Simon, plus three more slightly smaller ones that I made in fancy metal cake/jelly moulds as that was all I had that looked the right size! The results weren't the prettiest, but I'm pleased with them nonetheless. When I make another batch I'll probably increase the amount of salt in both the pork and the jelly, and perhaps add more herbs or spices to the jelly too. These were nice, but with a little tweaking we could have pie magic. *This blog is not monetised; the link is purely for information and we do not benefit from it in any way. 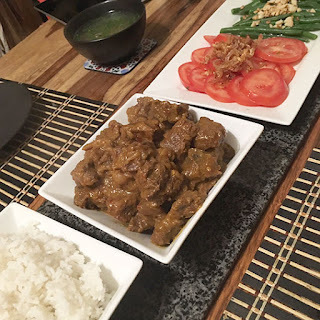 In previous years we've made noodle dishes, but this year I made amethar hnat, a classic Burmese beef curry. 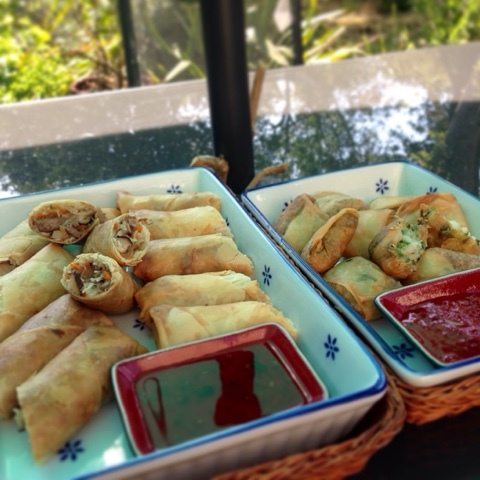 I got the recipe from Easy Burmese Recipes, and tested it out in advance. We actually had Emily and Amy's version at their Rangoon Sisters supper club, and theirs was richer. As the writer of Easy Burmese Recipes states her version uses less oil and more onions, when I made our Thadingyut meal I left out an onion and added extra oil, and preferred the flavour, but it's good either way. Alongside the curry I served boiled rice, two salads (tomato with crispy shallots and bean with toasted peanuts, though they were French beans not long bean, all dressed with fish sauce and lime), and chicken broth flavoured with garlic, coriander and a dab of yellow bean. The night I served it I was feeling pretty tired and not really in the mood to do the salads. The temptation to slap the curry on top of some rice and call it a day was strong! But I'm glad I didn't. If you're going to mark an occasion, it's best to make it special. Who knows what special dish I'll whip up next year? Working on games magazines for a living, I am surrounded by people who really love all things Japanese. And several of my favourite foodies are likewise obsessed with the place. Me? I'd love to go, though other places always seem to bump it from my travel list, and when it comes to cooking the food looks so elaborate. As much as I admire the precision and artistry involved, I'm too chaotic a person to make it. 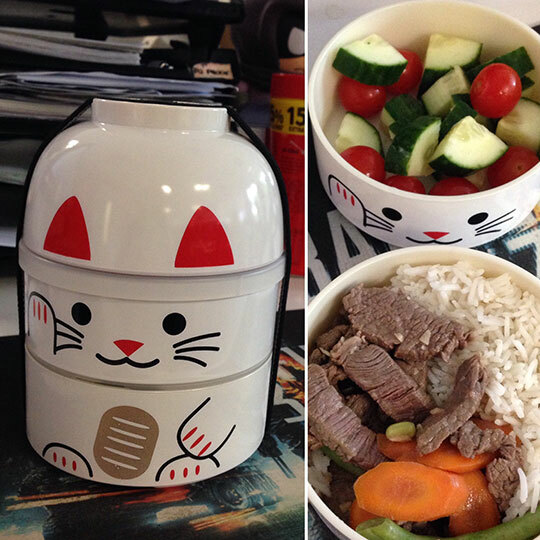 Only now I have to control my chaos, because Mr Robot bought me a bento box designed like an adorable little cat, so it's bento lunches for me from now on. 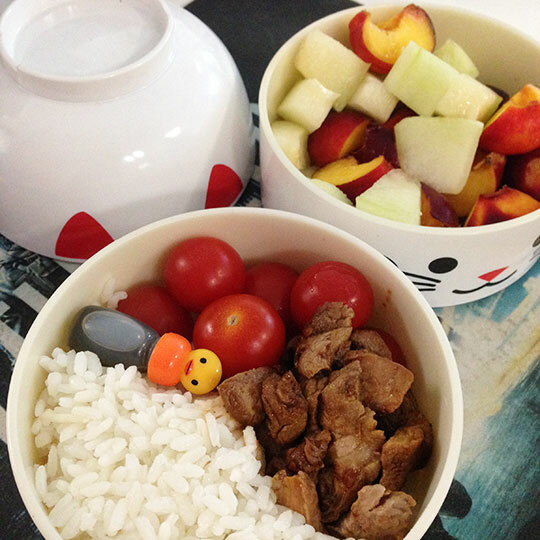 He got me a Hello Kitty bento cutlery set and some sweet little animal-headed sauce bottles too. And, most helpfully of all, a recipe book. That was very reassuring, because the lunches in it didn't look half as elaborate as the ones I see online, which would probably take me half an hour or more to make – and I only have about ten minutes at most to cobble together a lunch. It's nice to know no-one actually expects me to recreate the hanging gardens of Babylon or the works of Studio Ghibli using rice and cherry tomatoes. As I mentioned, I've never really cooked anything Japanese, and I suspect Cat Bento will end up full of confusion cuisine. I got some deep-fried tofu from the Chinese supermarket as until now I've been sticking to pure fruit and veg at lunchtimes, and while I'm prepared to introduce rice and possibly egg, I'm not sure I want meat in my lunch too often. The cookbook has a recipe for Japanese omelette, which I should give a go. I do appreciate the portion control dictated by the size of the compartments. *The Chinese supermarket in Bath stocks Chinese and Korean foods, and this rice had Korean script on the bag but also a little English script calling it 'sushi rice'. As far as I know there's no Japanese shop in town. I also tried the Thai shop, but they just had jasmine rice or readycooked sushi rice. Yak Yeti Yak - I'll be back! 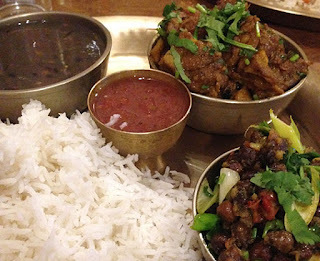 Last night I went with a few friends to Yak Yeti Yak, Bath's Nepalese restaurant. I'd been years ago and had liked it but not felt it was anywhere to rave about. Perhaps their food has changed in the intervening years, or perhaps I have, but last night's meal was excellent and has left me keen to go back with Mr Robot at some point. The setting is lovely, in a little basement in the centre of the city. It's not at all dingy; there are windows onto an 'area' so natural light does get in, and the walls are painted white and the rooms are decorated with Nepalese art. We're currently experiencing a heatwave, so being below ground level is lovely and cool. For a starter I had aloo dum. I know 'aloo' means potatoes and 'dum' to a method of cooking in a sealed pot. 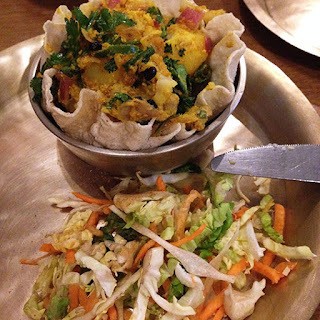 We had an incredible aloo dum with parathas on the way to Chandernagore when we visited India earlier this year, and I wanted to see how the Nepalese version compared. Well, it was completely different, but every bit as delicious! Cool potatoes, with herbs and onions. There was a fresh, sharp note that I couldn't identify – I'd guess some sort of fruit as it wasn't vinegary – that made the whole thing really refreshing. This morning I've had a look online and it seems there are as many Nepalese recipes for aloo dum as there are people who cook it: some with sauce, some without, most hot, and none with the sesame, but the online recipes for aloo ko achar look rather more like what I ate, with plenty of sesame and a souring agent. I guess I'll just have to keep going back to the restaurant and trying out recipes till I get it right... hard life! My main course was a Dal Bhat Masu. 'Dal' is obvious, and from the menu I got the impression that 'bhat' means rice, so I'm guessing it all simply translates to 'lentils rice meat'. I chose black dal and pork bhutuwa for the meat. There was also a side dish of small dark chickpeas, a little pot of achar (chutney) and a mountain of rice. Oh, and a poppadom on the side. I didn't manage all the poppadom or rice, there was that much. The chickpeas and pork were the highlights, the former deliciously buttery, and the latter perfectly soft, spicy and savoury, but without chili-heat. I really enjoyed the meal and definitely won't leave it as long before going back next time. 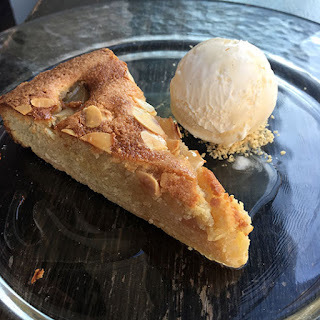 Soooooo many good food things that I haven't told you about, from our trip to India to Mr Robot's birthday dinner at Henry's restaurant in Bath. So I am breaking my duck with a quick shot of today's lunch. The prawn and chive parcels are taken directly from Helen and Lisa Tse's book Dim Sum: Small Bites Made Easy, and the spring rolls are based on their recipe - s I didn't have any bean sprouts I subbed in julienne (not grated; I wanted bite) carrots and chopped water chestnuts. I'm not sure whether there's something wrong with my portioning or the recipes overstate how many of each should be made, but I literally managed only 50% of the quantity each recipe should produce (yes, even when following the spring roll recipe properly). But they tasted great, and make a good al fresco lunch. It's a good job we have more chives growing, because those prawn parcels are going to become a robot family favourite. And back to work we go! Back to work, with resolutions to be a bit less fat in 2018 than in 2017. 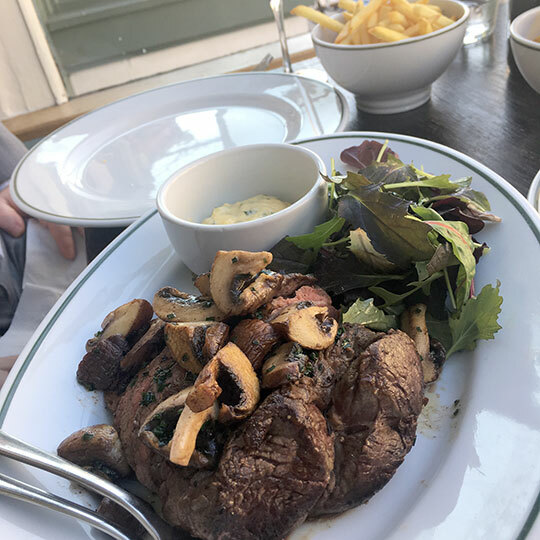 But yesterday we had a day for one more slap-up meal. I was really in the mood for spice, as between Christmas and yesterday we'd kept things fairly British. We'd had roast turkey for Christmas, home-cooked ham, and roast beef, with leftovers of the three used in all sorts of ways, and okay one of those was curry, but curry made with leftover turkey isn't quite the same, even though I made a proper sauce base. 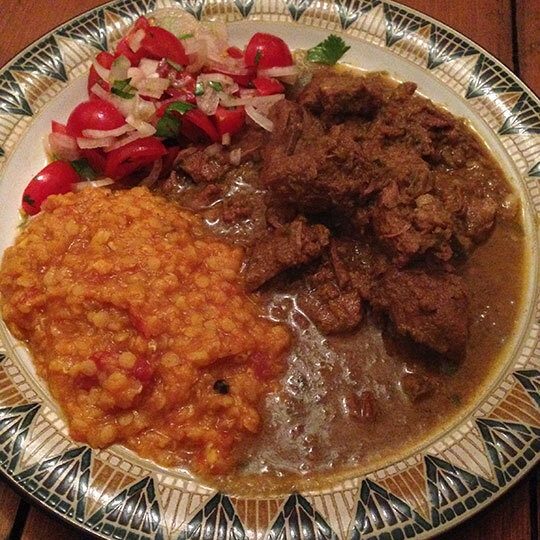 (Thinks: maybe I should have got out the curry powder and made a retro-style British 'curry', the sort of thing my granddad doubtless suffered through for 50 years after leaving Asia!) Mr Robot was definite that he wanted a lamb curry for New Year's Day, not a chicken one, and for some reason the lamb curries in most of my books really weren't grabbing me. I'd been meaning to make one of Bibi's recipes for ages, and Kathmandu-style mutton curry fitted the bill. I always make a trifle during the Christmas break, and this year left it right to the last minute. I probably wouldn't have bothered as I've been a lazy toad this holiday, but we'd bought all the cream and I'm a skinflint who detests food waste, so it needed to be used and eaten. But how do you make a trifle to follow a curry? With pistachio cake and fresh mango in the base, drizzled with fresh lime juice and triple sec, a luxurious home-made custard (six egg yolks and a pint of extra-thick double cream) flavoured with rosewater and saffron, and whipped cream lightly scented with cardamom, that's how. 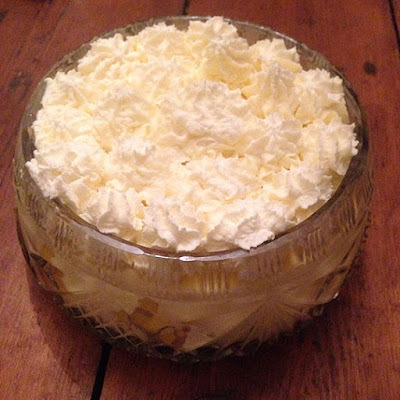 All those eggs and cream are why I only make trifle once a year - my arteries need 12 months to recover - but it's worth it. Happy New Year to you! May it be filled with good food, and good company to eat it with. Text copyright M. McDonald and PP Gettins. All photos copyright PP Gettins. Simple theme. Powered by Blogger.